(Bloomberg) -- Elon Musk again defended his Twitter use to the New York judge weighing a request by the U.S. Securities and Exchange Commission to hold him in contempt of an order that he get internal pre-approval before posting material information about Tesla Inc. The SEC’s contempt request relies on a “radical reinterpretation” of the order, Musk said in court papers Friday in Manhattan federal court. The Tesla chief executive officer argued that the regulator is trying to enforce a requirement -- pre-approval of any Tesla-related tweets -- that the agency sought but didn’t secure during settlement talks last year. 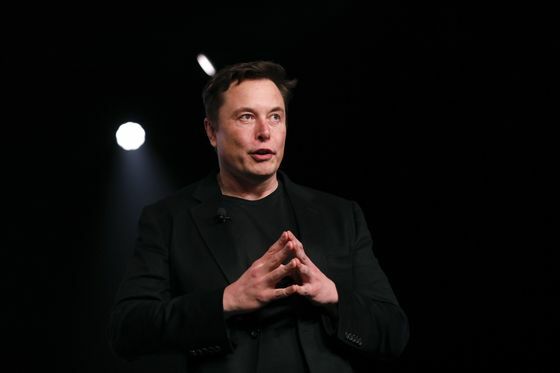 Instead, the agreement signed in October requires pre-approval of communications that “contain, or could reasonably contain, information material to the company or its shareholders,” Musk said. He claimed the pre-approval language was a “sticking point” in negotiations at the time. Musk’s filing is a response to court papers from the SEC last week that called Musk’s behavior “stunning” for having failed to seek approval from company attorneys for any of his tweets about Tesla. Musk, 47, says he didn’t breach the agreement and that the SEC’s interpretation of it would violate his right to free speech. The securities regulator claims a Musk tweets forecasting the company’s electric-vehicle production was material, misleading and hadn’t been vetted as required by the settlement. If U.S. District Judge Alison Nathan finds Musk in contempt as the SEC requests, she could impose new fines, order additional controls on Musk’s social-media use, and even suspend or bar him from running Tesla or any other public company. Nathan hasn’t said when she’ll rule on the request. Musk previously said he’s “dramatically decreased” the amount that he’s tweeted about Tesla and has cut his average monthly Tesla-related posts nearly in half. Last year, Musk’s tweets about taking the company private resulted in $40 million in fines, the appointment of independent directors and his ouster from the chairman role.